Zoology is the scientific study of animals. A branch of biology, zoology includes the study of structure and physiology of animals from the molecular level to the whole organism, the development and life cycle of individual animals, classification, animal behavior, population and distribution studies, and the interactions between animals and their biotic (living) and abiotic (nonliving) environments. The term zoology is most commonly pronounced with the first syllable as "zō," rhyming with "row." Another popular, but less common pronunciation is with the first syllable rhyming with "zoo," as in "two." Zoo is short for "zoological garden". The term comes from the Greek "ζώον" or zoon meaning "animal" and "λόγος" or logos which translates as "word," or "speech," with a literal meaning of "that which refers to." Humans are classified as animals, as species Homo sapiens; however, humans are unique, and define themselves in not just biological or zoological terms, but also in psychological, moral, spiritual, and social terms. Thus, the study of humans goes well beyond the discipline of zoology. The classification, naming, and describing of animals is part of systematics and taxonomy. In addition, the various taxonomically oriented disciplines, such as mammalogy (the study of mammals), primatology (primates), herpetology (reptiles and amphibians), ornithology (birds), icthyology (fish), and so forth, study aspects that are specific to those groups. Zoology is such a diverse discipline that there is not any professional society that covers all branches of zoology in a dominant manner. Rather, one finds societies according to the various taxons, such as birds, mammals, fish, snakes, wildlife, and so forth. Zoology serves a common and useful undergraduate major for many medical students because it provides a valuable foundation for understanding human physiology, anatomy, genetics, embryology, and pathology. As the science of describing, naming, and classifying living and extinct organisms, taxonomy is integral to the discipline of zoology. The study of animals requires that zoologists are clear on the name, description, and classification of their subjects. In order to standardize such matters, the International Code of Zoological Nomenclature (ICZN) was created. The ICZN is a set of rules in zoology to provide the maximum universality and continuity in classifying animals according to taxonomic judgment. Animals are one of the major groups of organisms, and are classified as the Kingdom Animalia, or Metazoa. Within this kingdom, a major division is between invertebrates and vertebrates. Invertebrates share the common lack of a trait: a vertebral column, or backbone. About 97 percent of all animal species are invertebrates. Vertebrates are animals with a backbone. With invertebrates, there are more than a dozen phyla, including Porifera (sponges), Cnidaria or Coelenterata (jellyfish, corals), Ctenophora (comb jellies), Mollusca (clams, snails, otopuses, etc. ), and Arthropoda (arthropods). Vertebrates, which are a subphylum of the phylum Chordata, include such familiar animals as fish, amphibians, reptiles, birds, and mammals. For a more comprehensive discussion, see the article on animals. Morphography includes the systematic exploration and tabulation of the facts involved in the recognition of all the recent and extinct kinds of animals and their distribution in space and time. The museum-makers of olden times and their modern representatives, the curators and describers of zoological collections; the early explorers and the modern naturalists and writers on zoogeography; and the collectors of fossils and present-day paleontologists are the chief varieties of zoological workers coming under this heading. Gradually, since the time of John Hunter and Georges Cuvier, anatomical study has associated itself with the more superficial morphography until today no one considers a study of animal form of much value if it does not include internal structure, histology, and embryology in its scope. General scheme of animal categorization, from the Cyclopaedia, 1728. Humans have been fascinated by the animal kingdom throughout history. From the very beginning, people must have had knowledge about animals that made them capable in hunting, knowing which animals were dangerous, and in domesticating animals. In ancient India, texts described some aspects of bird life, and in Egypt, the metamorphosis of insects and frogs was described. Egyptians and Babylonians also knew of anatomy and physiology in various forms. In ancient Mesopotamia, animals were sometimes kept in what can be described as the first zoological gardens. In the Greco-Roman world, scholars became more interested in rationalist methods. Greek scientist and philosopher Aristotle, during the 300s B.C.E., described many animals and their behaviors, and devoted considerable attention to categorizing them. In ancient Rome, Pliny the Elder is known for his knowledge of nature. Later, Claudius Galen became a pioneer in medicine and anatomy. In early Europe, stories of strange animals from distant lands or deep seas were not uncommon, and were recorded in such works as Physiologus, and the works of Albertus Magnus On Animals, among others. These accounts were often apocryphal and creatures were often described as "legendary." This period was succeeded by the age of collectors and travelers, when many of the stories were actually demonstrated as true when the living or preserved specimens were brought to Europe. Over time, verification by collecting of things, instead of the accumulation of anecdotes, became more common, and scholars developed the faculty of careful observation. The early collectors of natural curiosities might be considered the founders of the scientific discipline of zoology, and to this day naturalists, museum curators, and systematists, play an important part in the progress of zoology. Indeed, the historical importance of this aspect of zoology was previously so great that, until the beginning of the twentieth century, the name zoology had been associated entirely with it, to the exclusion of the study of anatomical structure or anatomy and function or physiology. Unlike botanists, who possessed living specimens, early zoologists had museums, and were handicapped in the means of anatomical and physiological study. This was later ameliorated by the method of preserving animal bodies in alcohol, when the demands of medicine for a knowledge of the structure of the human animal brought into existence a separate and special study of human anatomy and physiology. Scientists who studied the structure of the human body were able to compare human anatomical structures with those of other animals. Comparative anatomy came into existence as a branch of inquiry apart from zoology. It was only in the latter part of the nineteenth century that the limitation of the word zoology to a knowledge of animals that expressly excludes the consideration of their internal structure was rejected by scientists. The medieval period from the fifth century to early sixteenth century has often been called the dark age of biology. However, some people who dealt with medical issues were showing their interest in animals as well. In the Arab world, science about nature was kept. Many of the Greek works were translated and the knowledge of Aristotle was utilized. Of the Arab biologists, al-Jahiz, who died about 868, is particularly noteworthy. He wrote Kitab al Hayawan (Book of animals). In the 1200s, the German scholar named Albertus Magnus wrote De vegetabilibus (seven books) and De animalibus (26 books). He discussed in some detail the reproduction of animals. During the Renaissance, roughly from mid-1300s C.E. to early 1600s C.E., naturalists described and classified many animals, and artists such as Michelangelo and Leonardo da Vinci contributed accurate drawings of animals. Many visual artists were interested in the bodies of animals and humans and studied the physiology in detail. Such comparisons as that between a horse leg and a human leg were made. Books about animals included those by Conrad Gesner, illustrated by, among others, Albrecht Dürer. Inaccurate knowledge was still commonplace, and in many cases old legends of the Greeks were preserved. Scientific zoology advanced in the sixteenth century with the awakening of the new spirit of observation and exploration; however, for a long time it ran a separate course uninfluenced by the progress of the medical studies of anatomy and physiology. The active search for knowledge by means of observation and experiment found its natural home in the universities. Owing to the connection of medicine with these seats of learning, it was natural that the study of the structure and functions of the human body, and of the animals nearest to humans, should take root there. The spirit of inquiry, which now for the first time became general, showed itself in the anatomical schools of the Italian universities of the sixteenth century, and spread fifty years later to the University of Oxford. In the seventeenth century, adherents of the new philosophy of investigation of nature by means of observation and experiment banded themselves into academies or societies for mutual support and dialogue. The first founded of surviving European academies, the Academia Naturae Curiosorum (1651), especially confined itself to the description and illustration of the structure of plants and animals. Eleven years later (1662), the Royal Society of London was incorporated by royal charter, having existed without a name or fixed organization for seventeen years previously (from 1645). 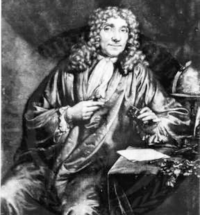 Later, the Academy of Sciences of Paris was established by Louis XIV. These great academies of the seventeenth century affected the progress of zoology by bringing together the museum curators and the physicians or anatomists. While collectors and systematists gained prominence in the latter part of the eighteenth century, notably in Linnaeus, a new type of scientist appeared in such men as John Hunter and other anatomists, who, not satisfied with the superficial observations of the popular zoologists, set themselves to work to examine anatomically the whole animal kingdom, and to classify its members by aid of such study. In the middle and late 1600s, the pioneering use of the microscope led to insights on physiology, such as observations on blood by Marcello Malphighi, and on minute organisms by Robert Hooke, who published Micrographia in 1665, based on his observations using a compound microscope. Hooke described the compartments of cork tissue as "cells." Anton van Leeuwenhoek (1632–1723), who made more than 400 microscopes himself, was the first person to view single-celled microbes. Systematizing and classifying dominated biology throughout much of the seventeenth and eighteenth centuries. Carolus Linnaeus (1707–1778), a Swedish botanist, developed a classification for animals based on shared characteristics. His new system greatly standardized the rules for grouping and naming animals and plants. At this time, the long-held idea that living organisms could originate from nonliving matter (spontaneous generation) began to crumble, particularly through the work of Louis Pasteur (1822–1895). It was not until the nineteenth century that the microscope, applied earlier by Leeuwenhoek, Malpighi, Hooke, and Swammerdam to the study of animal structure, was greatly improved as an instrument. The perfecting of the microscope led to a greater comprehension of the doctrine of cell structure and the establishment of the facts that (1) all organisms are either single corpuscles ("cells") of living material (microscopic "animalcules," etc. ), or are built up of an immense number of such units; and (2) that all organisms begin their individual existence as a single unit or corpuscle of living substance, which multiplies by binary fission, the products growing in size and multiplying similarly by binary fission. In the later part of the nineteenth century, the area of genetics developed, when the Austrian monk Gregor Mendel formulated his laws of inheritance, published in 1866. However, the significance his work was not recognized until a few decades afterward. During this time, other sciences were impacting zoology. The astronomical theories of development of the solar system from a gaseous condition to its present form, put forward by Kant and by Laplace, had impressed minds with the conception of a general movement of spontaneous progress or development in all nature. The science of geology came into existence, and the whole panorama of successive stages of the Earth’s history, each with its distinct population of unknown animals and plants, unlike those of the present day and simpler in proportion as they recede into the past, was revealed by Georges Cuvier, Louis Agassiz, and others. The history of the crust of the earth was explained by Charles Lyell as due to a process of slow development, and not from any cataclysmic agencies or mysterious forces differing from those operating in the present day. Thus, Lyell carried on the narrative of orderly development from the point at which it was left by Kant and Laplace—explaining by reference to the ascertained laws of physics and chemistry, the configuration of the Earth, its mountains and seas, its igneous and its stratified rocks, just as the astronomers had explained by those same laws the evolution of the Sun and planets from diffused gaseous matter of high temperature. The suggestion that living things must also be included in this great development became more apparent. 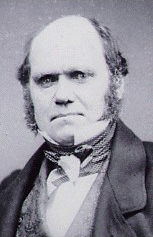 In 1859, Charles Darwin, with his publication of The Origin of Species, placed the theory of organic evolution on a new footing, by his marshalling of evidence for evolution by descent with modification, and by presentation of a process by which it could occur, the theory of natural selection. Darwin's theories revolutionized the zoological and botanical sciences. Darwin's work intersected with the breeding of animals and plants, their congenital variations, and the transmission and perpetuation of those variations. Outside the scientific world, an immense mass of observation and experiment had grown up in relation to this subject. From the earliest times the shepherd, the farmer, the horticulturist, and the fancier had for practical purposes made themselves acquainted with a number of biological laws, and successfully applied them without exciting more than an occasional notice from the academic students of biology. Darwin made use of these observations and formulated their results to a large extent as the laws of variation and heredity. As the breeder selects a congenital variation which suits his requirements, and by breeding from the animals (or plants) exhibiting that variation obtains a new breed characterized by that variation, so Darwin proposed that in nature there is a selection among the congenital variations of each generation of a species. Natural selection depends on the fact that more young are born than will survive to reproduce, yielding a struggle for existence and a survival of the fittest. In the process, selection either maintains accurately the form of the species from generation to generation or leads to its modification in correspondence with changes in the surrounding circumstances that have relation to its fitness for success in the struggle for life. According to the theory of natural selection, structures either are present because they are selected as useful or because they are inherited from ancestors to whom they were useful, though no longer useful to the existing representatives of those ancestors. Darwin's theory gave a new basis to the study of organic structure, and directed the classifications of the systematist toward construction of the genealogical tree or pedigree of plants and animals. Darwin's theory also countered a conception of life as an entity above and beyond the common properties of matter, leading to the movement toward the materialistic view that the marvelous and exceptional qualities of living matter are nothing more nor less than an exceptionally complicated development of those chemical and physical properties under guidance of non-progressive, purposeless evolution. Gregor Mendel's experiments hybridizing certain cultivated varieties of plants were presented in 1865 and published in 1866, but failed to attract notice until thirty-five years later in the early twentieth century, sixteen years after his death. Mendel's object was to gain a better understanding of the principles of heredity. Mendel made his chief experiments with cultivated varieties of the self-fertilizing edible pea. When the importance of Mendel's work was realized, it led to the merging of Darwinian theories with an understanding of heredity, resulting in the "modern evolutionary synthesis" or neo-Darwinism. The modern synthesis was integral to the development of much of zoology in the twentieth century. Among the exciting twentieth-century breakthroughs in genetics and molecular biology was the recognition of DNA as the means to pass on hereditary traits. By 1953, James Watson and Francis Crick clarified the basic structure of DNA, the genetic material for expressing life in all of its forms. After the success of the discovery of the structure of DNA, Crick turned to the problem of consciousness; in the meantime, the studies of developmental biology came to the forefront. More recently, clones of both plants and animals have been attempted, with some success, but with attendant ethical questions. The twentieth century also saw the development of the new sciences of animal ecology and animal behavior. The beginnings of animal ecology can be traced to the early twentieth century, with the work of R. Hesse of Germany and Charles Elton of England (Smith 1996). In the United States, Charles Adams and Victor Shelford were pioneering animal ecologists, with Adams publishing the first textbook on animal ecology, and Shelford emphasizing plant-animal interactions. Although the formal study of animal behavior began in the nineteenth century with George J. Romanes, in the twentieth century it grew prominent, developing along four major lines: behaviorism, the study of behavior mechanism; ethology, the study of the function and evolution of behavior; behavioral ecology, the investigation of how animals interact with their biotic and abiotic environment, with emphasis on the influence of natural selection; and sociobiology, a controversial discipline, pioneered by Edward Osborne Wilson, that applied the principles of evolutionary biology to animal social behavior, and ultimately to humans (Smith 1996). Taxonomy also saw major developments in the twentieth century, with the ascendancy of new schools of thought on the classification of organisms, including cladistics and phenetics. In 1947, the Society of Systematic Zoology was formed, and in 1952, the society published its journal Systematic Zoology (Hull 1988). G.G. Simpson published Principles of Animal Taxonomy in 1961, and Ernst Mayr published Principles of Systematic Zoology in 1969. This page was last modified on 4 April 2008, at 02:43.